There is a mystery behind using herbs. Western science has discovered the effectiveness of some plants, while others it has not; but just because a plant’s use has not yet been proven, doesn’t mean it doesn’t have one. It is a matter of time before any herb’s benefit is discovered. The reason is that all plants are made of phytochemicals that elicit specific physiological and energetic effects in the body. Due to each plant’s unique balance of phytochemicals, its distinct therapeutic qualities can be employed when it is used in the right circumstances and the proper proportions. Perhaps 50,000 plant species have been used for medical treatment by the many cultures of the world. The World Health Organization (WHO) estimates that 80 percent of the world’s population uses herbal medicine for some aspect of their primary health care. Unfortunately, despite the deep-rooted nature of this tradition, much of the Western medical community has pulled away from the use of plants for medicine for a number of reasons—a significant one being the multi-billion dollar pharmaceutical industry. Nevertheless, practitioners in Europe and Asia have kept the study of herbal medicine alive, and based on the increasing degree of dissatisfaction with the conventional medical establishment, complimentary therapies that employ the use of plants are going to be indispensable parts of all forward-looking medical treatments. A quick scan of the numbers of herbal products sold in drugstores today, compared with a few years ago, offers some indication of how dramatically the population has turned toward some form of herbalism in recent years. This article will shed some light on the function of some well-known herbs, their underlying theme being usefulness for detoxification of the kidneys. Although just an introduction, this article will aim to present usable information for those interested in dabbling with herbs but not knowing exactly where to begin. Sometimes people believe herbs must be safe because they are natural; this is not necessarily the case. Many plants are poisonous or may cause toxicity when used in high dosages – Beladonna, poison ivy and opium poppies are all natural. The following herbs, however, have been chosen based on their high degree of safety. It is nevertheless recommended that everyone consult someone trained in herbalism before using any herbal remedies for specific medical conditions. Pharmacodynamics: This plant is the common weed known as dandelion. It is commonly used as an antihypertensive; the leaf of the plant is used for its diuretic effects whereas the root has more laxative action. The cleansing ability of the herb is likely what contributes to dandelion’s mild anti-inflammatory activity, but this is not yet well understood. Dandelion also possesses appetite-stimulating bitters identified as eudesmanolides, which were previously called taraxicin, coined from its name. Taraxacum has traditionally been used to promote cleansing of the body, clear away toxins, stimulate the activity of the liver and kidneys, drain out excess water, clear heat, calm the gall bladder, promote bile flow and bowel movement, awaken the appetite, and restore connective tissue damage. Eastern perspective: Taraxacum contains bitter, salty, and slightly sweet flavors. Energetically it is a cold herb that helps to dry the body. According to traditional Chinese Meridian theory, it works on the spleen, liver and gall bladder meridians. Potential side effects, toxicity, safety issues regarding long-term use and contraindications: Taraxacum leaves and flowers are safe to eat when used in normal amounts in food, as well as when used appropriately for medicinal purposes. 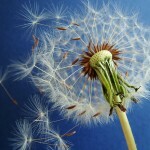 The use of dandelion can cause dermatitis in sensitive patients. It has also been known to cause allergic reactions in individuals sensitive to the Asteraceae/Compositae family. Members of this family include ragweed, chrysanthemum, marigolds, and daisies. Dandelion is contraindicated in patients with obstruction of the bile ducts, gallbladder or obstruction of the bowels. Dosage (ml or tsp): 10-60 drops (1-5 teaspoons) of the tincture 3 times a day. Tea or dry herb can also be used. Pharmacodynamics: Commonly known as skullcap, this herb helps to calm the nerves and muscles (a tonic) and can be used to help balance menstrual flow (emmenegogue). It is also a slight diuretic, anti-inflammatory, antihistamine and anti-hypertensive. Potential side effects, toxicity, safety issues regarding long-term use, and contra-indications: Ingesting large amounts of skullcap can cause giddiness, stupor, confusion, limb twitching, seizures, and other symptoms associated with epilepsy. It is usually safe when used orally in a specific herbal combinations. Potential interactions with current supplements, medications and other therapies:Concomitant use with other sedative herbs might enhance therapeutic and adverse effects. Dosage (ml or tsp): 3-4 teaspoons of tincture 3 times per day. Tea or dry herb can also be used. Part Used: Dried aerial stems. Pharmacodynamics: Horsetail can decrease hemorrhage and has astringent properties in the genitourinary system. It can heal wounds and is a mild diuretic. Historically it has been used for inflammations such as rheumatism. Externally it is a vulnerary, meaning that it helps wound healing. Traditional herbal books suggest the following uses: edema in the lower limbs, blood in the urine, irritable bladder, low urinary output in children, prostatitis, and heartburn. Potential side effects, toxicity, safety issues regarding long-term use and contra-indications: Safe when taken orally and appropriately, short-term.Safe within its normal usage as a tea. Dosage: Infuse 2 teaspoonfuls of the dried herb, boiling for l5–20 minutes in water. Pharmacodynamics: Couch-grass is a diuretic, and it relieves irritation, congestion and many forms of inflammation. It can be used in urinary infections and many “itisis.” As a tonic diuretic, it has been used in rheumatism and other inflammatory processes. It is also used when urine has a high specific gravity and there is irritation of the kidneys or bladder. Couch grass has anti-microbial qualities and so can be used to decrease referred back pain due to purulent discharges from the urethra. Eastern perspective: Couch-grass is a bland tasting, mild herb with a soothing (demulcent) quality. It tonifies Qi, vitalizes blood and Yin. It is also promotes urination and removes fluid congestion. Potential side effects, toxicity, safety issues regarding long-term use and contra-indications: Safe when taken orally and appropriately, short-term. Dosage (ml or tsp): Decoct 2 teaspoonfuls of rhizome in water, boiling for l0 minutes. This can be taken 3 times a day. Pharmacokinetics: Siberian Ginseng, or Eleuthro, as it is also called, is only distantly related to the other roots that are called “ginseng.” It is an adaptogenic – something that balances the endocrine and immune systems. It’s also an immune enhancer and helps to regulate blood sugars. Eleuthro is primarily indicated for highly stressed people, to help increase their capacity to withstand adverse environmental and working conditions. It also improves cardiovascular health, increases performance and endurance, and is indicated for debility and general fatigue. Potential side effects, toxicity, safety issues regarding long-term use and contra-indications: Very uncommon. Not to be used during acute phase infections. Patients with insomnia, palpitations, tachycardia and hypertension should be cautious due to its stimulating effect. Dosage (ml or tsp): 2–8 ml/day of 1:2 alcoholic extract. Pharmacodynamics: Milk Thistle is used as a digestive tonic for all hepatic congestions and liver problems. Milk Thistle assists the liver in its detoxification actions and research has shown it benefits the regeneration of healthy cells in a fatty liver. It has a mild laxative effect as well. Milk Thistle is for all types of liver stagnations. Further actions include galactogogue (promoting milk secretion in a nursing women) and helping to balance the actions of the stomach. Eastern Perspective: It works on the liver and spleen channels and has a bitter taste but energetically neutral temperament. It is used primarily as a blood cleanser, found in kidney and liver formulas. Potential side effects, toxicity, safety issues regarding long-term use and contraindications: Hardly any side effects. It does have a mild laxative effect therefore if this is not indicated then be careful. Also, Milk Thistle increases the liver’s detoxification capabilities. As such, dosages for drugs that are working in narrow therapeutic windows, such as blood thinners, need to be carefully monitored. Dosage: 1-2 ml of tincture 3 times per day. Tea or dry herb can also be used.